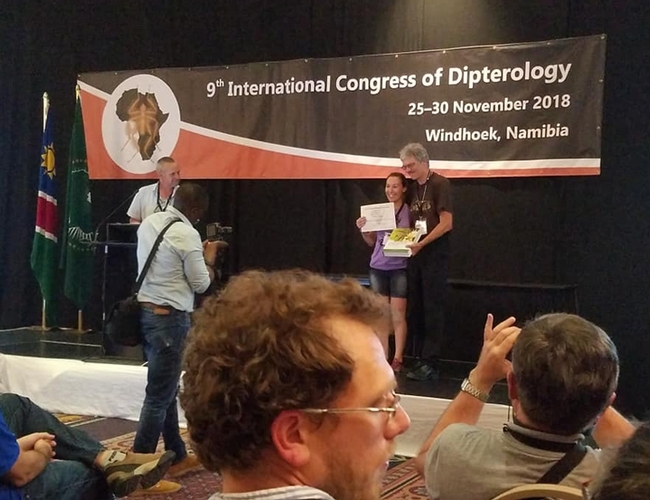 UC Davis doctoral candidate Jessica Gillung, who studies the parasitoid flies commonly known as spider flies, won the prize for best student presentation at the recent 9th International Congress of Dipterology in Windhoek, Namibia. 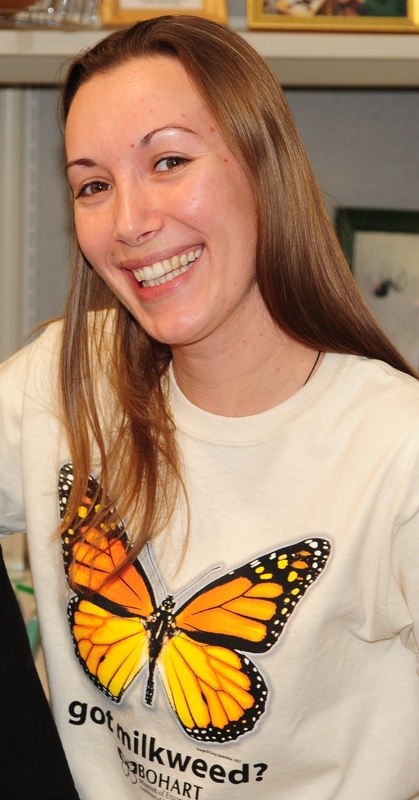 She delivered her presentation on “Phylogenetic Relationships of Spider Flies (Acroceridae) – Discordance, Uncertainty and the Perils of Phylogenomics.” Acrocerid adults are floral visitors, and some are specialized pollinators, while the larvae are internal parasitoids of spiders. 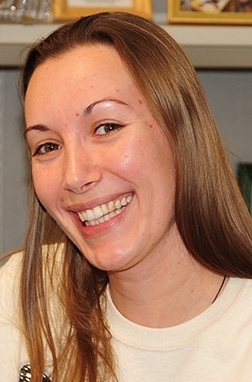 Gillung, to receive her doctorate this month, will present her exit seminar on “Evolution of Fossil and Living Spider Flies (Diptera, Acroceridae): A Tale of Conflict and Uncertainty” at 2 p.m., Friday, Dec. 14 in 122 Briggs Hall. Professor Thomas Pape of the Natural History Museum of Denmark and chair of the Council for the International Congresses of Dipterology, presents Jessica Gillung with the prize for best student presentation at the recent 9th International Congress of Dipterology in Windhoek, Namibia. Bohart Museum Open House Nov. 18: Parasitoid Palooza! 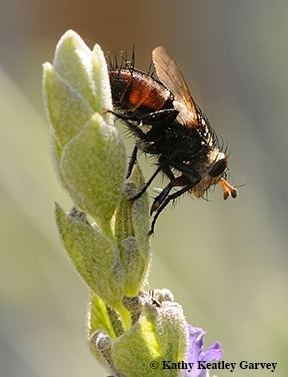 The Bohart Museum of Entomology will host a "Parasitoid Palooza!" open house from 1 to 4 p.m., Saturday, Nov. 18 in Room 1124 of the Academic Surge Building. 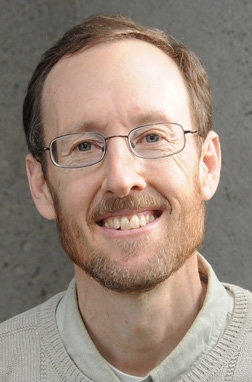 The event, free and open to the public and family friendly, is an annual open house focusing on parasitoids. 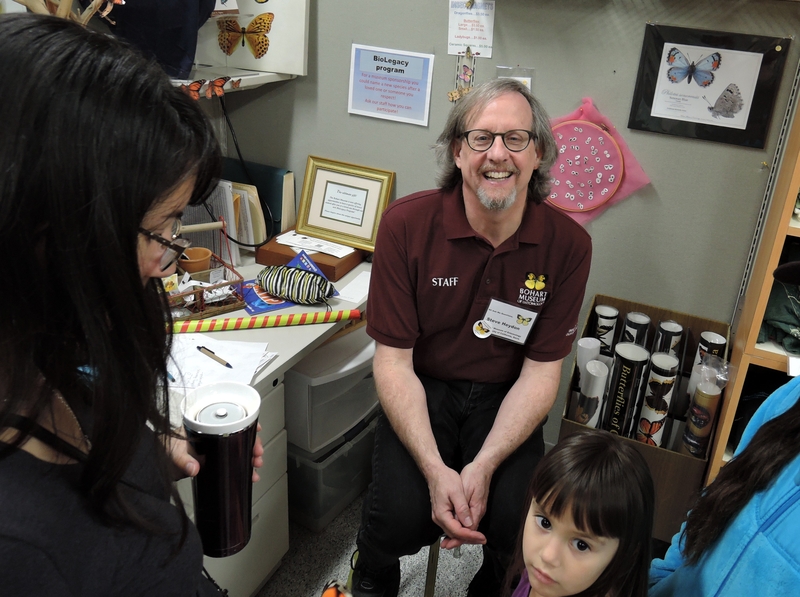 "An insect parasitoid is a species whose immatures live off of an insect host, often eating it from the inside out," said Tabatha Yang, education and outreach coordinator of the Bohart Museum. 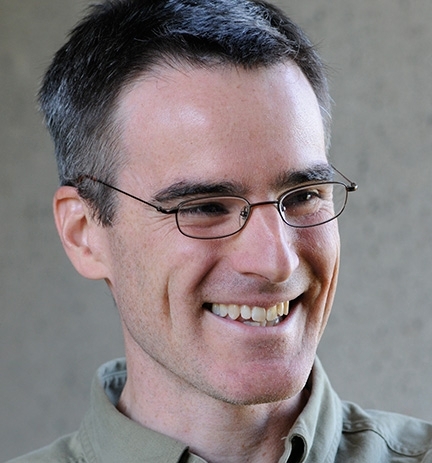 "It is part of their life cycle and the host generally dies." 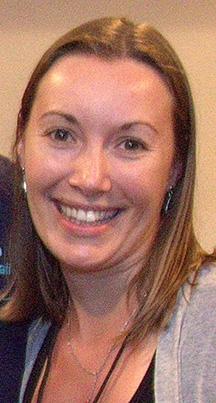 Diagnostic parasitologist Lauren Camp of the UC Davis Veterinary Medical Teaching Hospital, is an authority on nematodes. Lauren Camp, who received her doctorate from UC Davis, studying with major professor Steve Nadler, professor and chair of the UC Davis Department of Entomology and Nematology, will display a variety of nematodes amd answer questions. 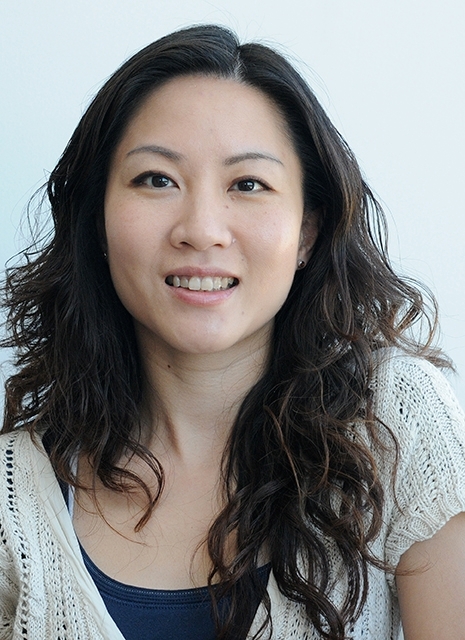 She describes nematodes in one word as "worms" and in expanding, “Nematodes are an amazing phylum of organisms--they exist in almost every known environment on the planet, and different species eat everything from bacteria and fungi to plant and animal tissue." 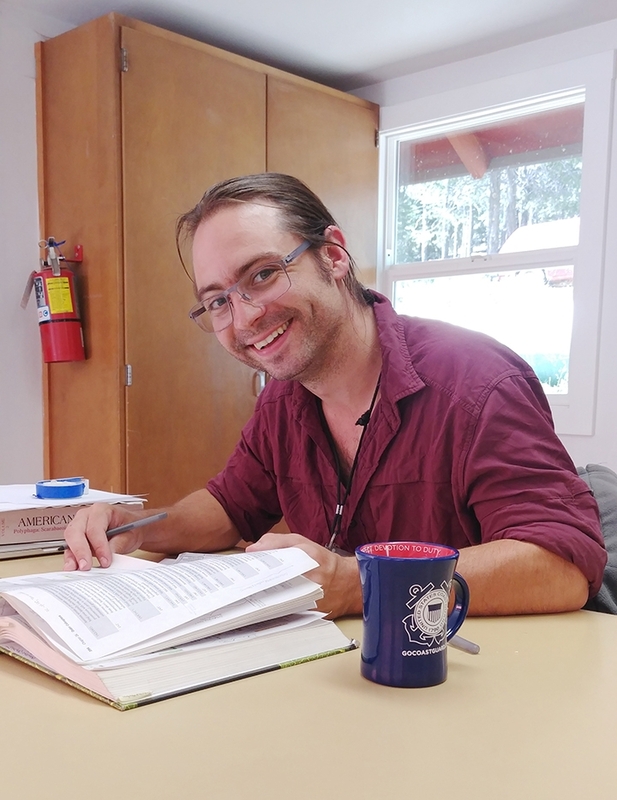 "I find parasites particularly fascinating, because they are dependent on another organism (or organisms) for part or all of their life cycle," Camp said. The Bohart Museum of Entomology at the University of California, Davis, will celebrate Moth Night at its open house from 8 to 11 p.m., Saturday, July 30. The theme: "Celebrate Moths!" Activities, free and open to the public, will take place inside the museum, located in Room 1124 of the Academic Surge Building on Crocker Lane, and outside the building where black lighting will be set up to observe and collect moths and other insects. 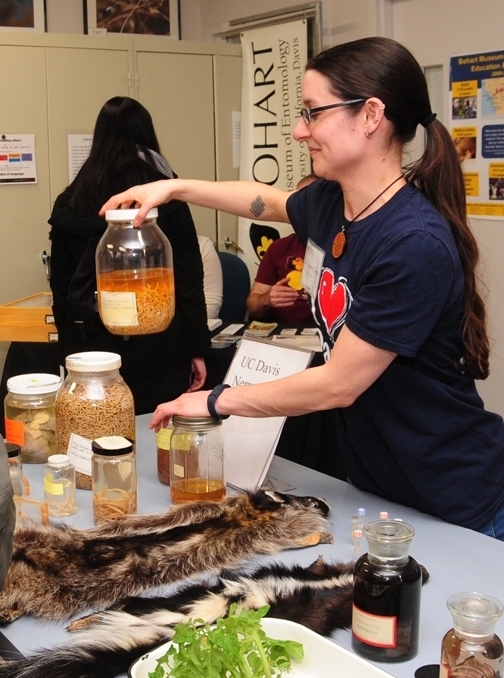 Entomology graduate student Jessica Gillung will participate, "so there will be an entomologist fluent in Spanish and Portuguese on site," said Tabatha Yang, the Bohart Museum's education and outreach coordinator. 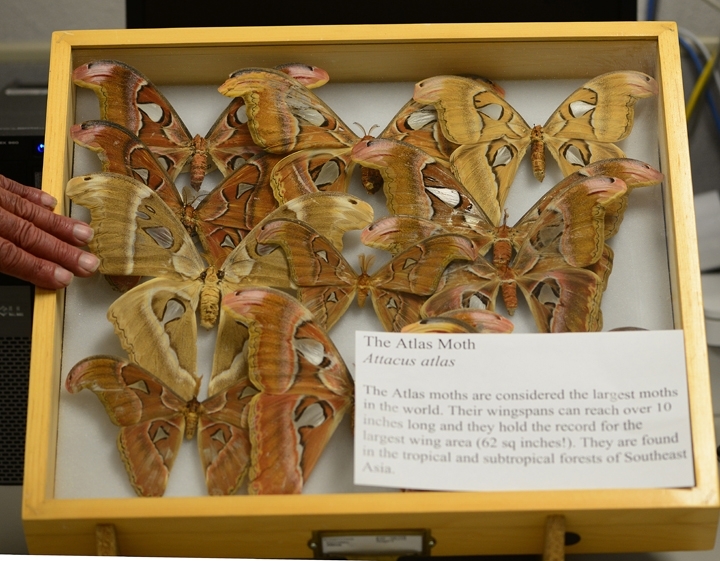 Visitors are invited to view the Bohart Museum's vast collection of worldwide moth specimens and participate in family friendly craft activities featuring a moth motif. 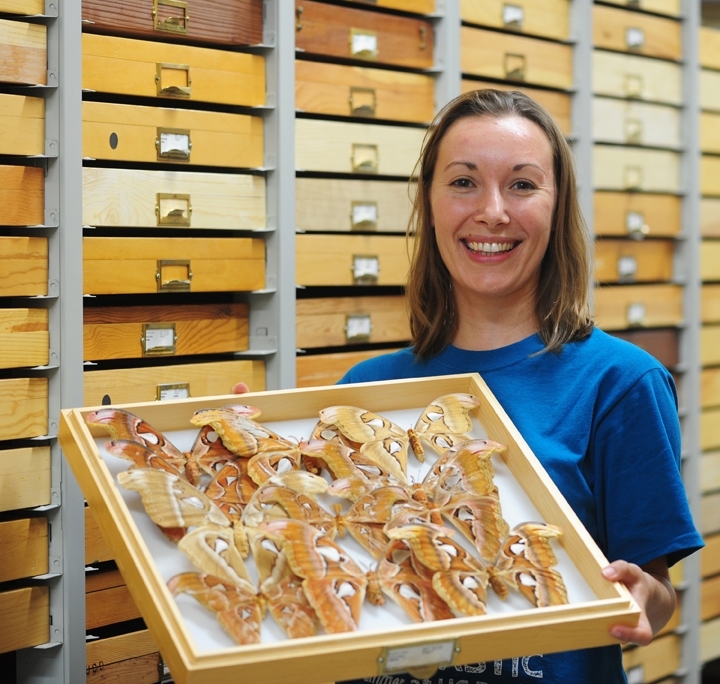 Scientists will explain how to differentiate a moth from a butterfly. Free hot chocolate will be served. 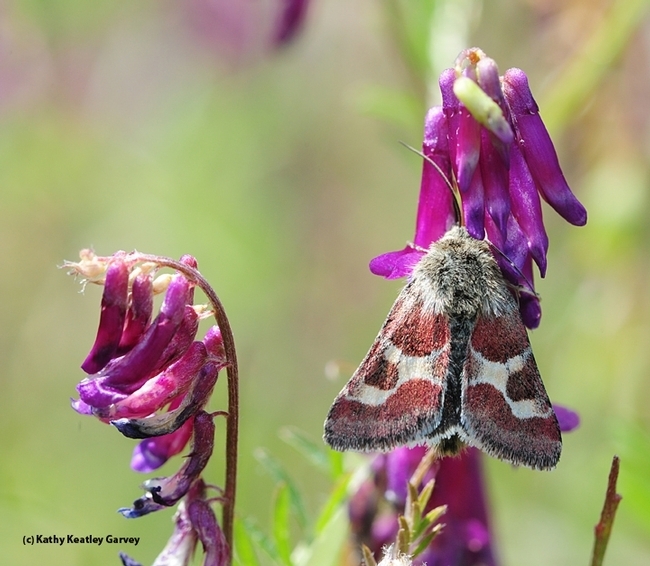 The event is in keeping with International Moth Week: Exploring Nighttime Nature, July 23-31, a citizen science project celebrating moths and biodiversity. The annual event is held the last week of July. The Bohart Museum, directed by Lynn Kimsey, professor of entomology at UC Davis, is a world-renowned insect museum that houses a global collection of nearly 8 million specimens. It also maintains a live “petting zoo,” featuring walking sticks, Madagascar hissing cockroaches and tarantulas. A gift shop, open year around, includes T-shirts, sweatshirts, books, jewelry, posters, insect-collecting equipment and insect-themed candy.